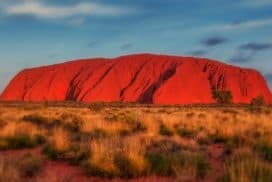 Live Australia with Go To Australia - Free Advice on your life in Australia. Want to live in Australia? Apply now if you are interested in living in Australia! Registered experts answer your questions. After your arrival in country of your choice we are available to assist in the settlement process. We work with you in making your relocation as easy as possible. Australia is the smallest, flattest, driest continent on Earth, and the sixth largest continent. The continent is divided into six states and two territories. The capital city is Canberra, and is situated in the Australian Capital Territory. The other states are New South Wales, Victoria, Queensland, South Australia, Western Australia, Tasmania and the last territory is the Northern Territory. Most of the population can be found on the outer areas of Australia, along the coast. Australia has a population of twenty one million, mostly situated in the capital cities. The indigenous population are the Aboriginals. Twenty five percent of Australia’s population are people born overseas, making it a diverse, multicultural society. 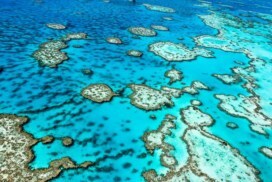 There are many tourist attractions, such as The Great Barrier Reef, Sydney Harbour Bridge, Whitsunday Islands, the Kinberley region, Kakadu National Park, Uluru-Kata Tjuta (formerly Ayer’s Rock), and Flinders Rangers. Tours are conducted regularly, and can be booked from your local travel agency. Being one of the most outstanding economies of the world in recent years, Australia has a high-growth, low-inflation, low interest rate economy, which provides a high standard of living. There is an efficient government sector, a flexible labour market, a very competitive business sector and the cost of living is low. 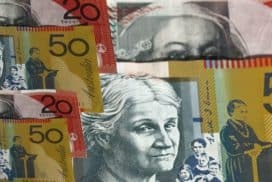 The national currency is the Australian Dollar. 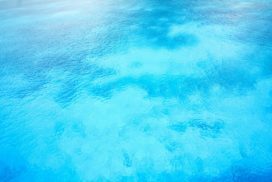 Social events are plentiful, being surrounded by oceans, some common leisure activities are surfing, snorkelling, and swimming, fishing and boating. Sport clubs (such as AFL, NRL, and Cricket), gymnasiums, swimming pools, athletic tracks and other social clubs can be found locally all over the nation. The cities have a vibrant night life, with night clubs, festivals, and hotels being open until late. Most streets are well lit and public transport by train, bus and tram is very cheap, even subsidised for concession card holders. Shopping centres and department stores are plentiful, housing cheap. Apply for a Tax File Number – to register for a Tax File number you need to get in contact with the Australian Taxation Office. A tax file number is needed before you can receive an income of any type, such as a wage, salary, government payments and money earned from investments, such as money from interest on bank accounts. Tax File Number applications can be sent to you, or alternatively, can be done online. Tax return forms need to be completed every year, and the deadline is the 31st October. Register with Medicare – Medicare is Australia’s health care system. To register you need a Medicare Enrolment Form. This form can be found on the Medicare website. If you do not register, you may have trouble receiving subsidies if you need medical attention at any time. Open a bank account –there are many banks and financial institutions throughout Australia. Local bank branches can be found in even the most remote country locations. Register with Centrelink – Centrelink assists those in need, and to assist people to become self-sufficient. To register you can apply at a local Centrelink branch. Contact the Health Undertaking Service – Australia has very high standard of health, and to keep these standards up, people who migrate, either to migrate permanently, or a temporary visit, we must satisfy the health requirement specified in the Migration Regulations. Migrants need to complete an information form, which can be obtained from the Department of Immigration and Citizenship. Register for Schooling – Australia’s national language is English. English is taught throughout Australian Primary and High Schools. Other languages are taught also as lessons in high school, such as Japanese, Chinese, German, and Indonesian. Enrol your children in a school – you will need to enrol your children, if any, at your local Public Primary or High School. You can register at your local school reception. Apply for a driver’s licence – drivers licences are needed to drive a vehicle on public roads. Also your drivers licence is your most common form of identification. To obtain a licence you need to pass an assessment on driving, both theory and practical. In case of an emergency, the number to dial is 000. The departments you can contact are the Police, Fire Department and Ambulance. These services are on call 24 hours a day, 7 days a week. The crime rate is low, and the reports of assault and violent crimes are minimal. The Federal Police and state police departments maintain the law well. 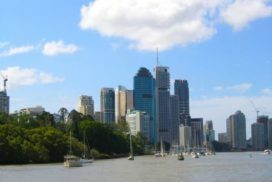 If you have itchy feet, and are ready to move, how about considering to make the move down under. Maybe Australia is the place for your future. Australia is the largest island in the world and the third largest continent. 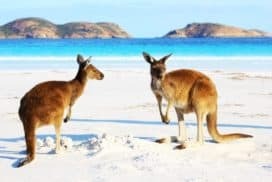 Australia is located in the southern hemisphere, and we experience both tropical and temperate weather patterns, so weather conditions vary greatly on your location in Australia. Australia was first settled in 1788 by the British Empire. The indigenous Australian population is known as the Aboriginals. Australia’s population mainly consists of immigrants, which makes Australia a multicultural society, with a population of approximately 21,618,330. The northern regions of Australia such as the northern territory and Queensland and some areas of Western Australia and experience tropical weather and the seasons are divided into the wet season and the dry season. The temperature can get much hotter in the wet season. Natural disasters associated with tropical weather, such as cyclones, floods, and thunderstorms frequently occur in the wet season. The temperate regions experience much cooler weather. The winter months are in the middle of the year from June to August, and the summer months around the end of the year, around December to February. Maximum temperatures vary from 40 degrees in summer to 15 degrees in winter. Minimum temperatures vary from 25 degrees in summer compared to 5 degrees during the winter months. Australia is known as a sporting country. Many sports such as Rugby League, Aussie Rules Football, Soccer, Cricket, and many other sporting clubs can be found in the suburban areas of your local city. The Australian Institute of Sport is a college in the ACT that educated and trains athletes for international sporting events, such as the Olympic Games, Commonwealth Games, and other major sporting events. If you decide to make the decision to move to Australia, you will never be bored. There are many of activities, sports and clubs to join and participate in some fun activities and have a good time. Enjoy! Australia is a relatively new country without a long history but the history it does have is fascinating and in some ways devastating. When Europeans settled in Australia during the 1700s they did not take into consideration the natives of the land and the Indigenous Peoples of Australia were treated poorly. Located in the Southern Hemisphere; Australia is a unique, multicultural country with a diverse range of races, population, climate, history and geography. Australians are generally a friendly, laidback people with an outgoing sense of humour (Aussies love a good laugh). 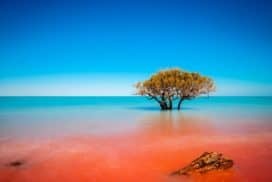 The coastal towns of Australia is where most of the population can be found as the Outback is mostly dry, desert land where water is scarce and the heat soars. Buying a house is relatively easy in Australia as long as you have had a job for at least six months. Other aquatic adventures Aussies partake in include surfing, sailing, diving and for the children nippers (where Aussie kids are taught water safety). Visitors to Australian shores need to be sun smart as those who do not cover up and apply sunscreen regularly are exposing themselves to sunburn and possibly skin cancer. Along with its competitive nature, Australia is an inventive nature with world class inventions including (but certainly not limited to) the Hills Hoist (rotating clothes line), plastic disposable syringes, long-wearing contact lenses as well as the bionic ear. Whilst living in Australia is relatively safe, you should still take precautions to protect yourself and your belongings. At night, don’t walk alone, keep to well-lit paths and avoid empty or isolated areas. At all times of the day, keep your valuables secure and out of view, and be conscious of your surroundings. Lock all doors and windows whenever you leave the house, and preferably while you are at home as well. All Australian homes are fitted with compulsory smoke alarms to protect you from fire; you should check the batteries twice a year. 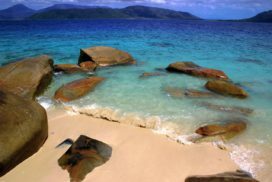 Australia’s beaches are a major attraction. Check that the beach you swim at has a lifeguard, and always swim between the red and yellow flags. If you go out on a boat, ensure you wear a lifejacket. Certain laws in Australia may differ to the ones you are used to. Laws relating to alcohol and tobacco prohibit their sale to persons under the age of eighteen. Smoking is prohibited in most indoor public areas as well as many outdoor ones. All illicit drugs are banned from sale, possession or use. In the course of public life, it is an illegal offence to offer or receive a bribe. Furthermore, you cannot discriminate against a person on the basis of gender, race, nationality, political or religious beliefs, marital status, disability or sexual preference. It is a crime to commit violence against any person, animal or property, as it is to carry any kind of weapon. On the road, Australian law requires a helmet to be worn when riding a bicycle or motorcycle, and that every driver to hold a valid driver’s license. If this will be your first time living independently away from home, brace yourself for the realities of financial responsibility! Research, planning and self-discipline are all practises that will serve you well during this adjustment period. Try to research and forecast the cost of everything, as there can be hidden costs in each transaction. Particularly when evaluating accommodation alternatives, consider all cost factors: rent, cost of transport to and from your institution, and any utilities included in the rent price. You should also ask whether the rent is likely to be increased during your tenancy. Utilities, food and groceries, tuition fees and textbooks are all expenses which can sneak up on you, so try to calculate and budget for them in advance. Holders of Student Visas are permitted to work 20 hours per week, however well-paying part-time work can be hard to be find. You should never count on part-time work to finance any of your essential living expenses. Australia is also known for shopping and buying great items. The hours of the malls usually run from 9:00am to 5:00pm seven days a week, with late night shopping until 9:00pm on Thursday and Fridays, so enjoy those days and go out late to shop once your school work is done. Some supermarkets open 24 hours a day, seven days a week, which is great if you ever just need to go grab something for dinner or you forgot an item. However, keep in mind most large chain supermarkets, like Coles and Woolworths, are open until about 10pm every day, still giving you enough time to go get anything you need. There are many banking institutions which mean many options. Normal hours are from 9:30am to 4:00pm Monday to Thursday and 9:30am to 5:00 pm on Fridays. Some banks are open on Saturday mornings, but all are closed on Sunday and public holidays. Automatic teller machines (ATMs) are ready fro withdrawals 24 hours a day. Most stores and supermarkets have Electronic Funds Transfer at point of Sales (EFTPOS) terminals where you can pay for your good directly from your bank account, so as long as you have the money in your bank account to cover what you are buying just use the EFTPOS to purchase your items and you can even make withdrawals. This is another reason why is not so important to carry large amounts of cash with you on hand, you can visit any EFTPOS and quickly withdraw money and pay for items. Australia’s four major banks with branches are the Commonwealth Bank, ANZ, Westpac and National Australia Bank (NAB). There are plenty of smaller banks too are just as good. You can search for more banks at www.infochoice.com.au. Want to send something to someone and make sure they get it? Postal services are provided by Australia Post and mail delivery; services are from Monday to Friday. For larger packages, a card will be left in your letter box for you to take to your post office to pick up the item. The postal service is reliable, you can count on them to deliver your package or making sure you receive yours, they are efficient with next day delivery, within the same city too! Most post offices are open from 9am to 5pm Monday to Friday. They also sell stationery, post bags, phone cards and stamps; you can pay some bills here too, like electricity and telephone. In Australia local calls can cost about 30cents and are not timed, so for 30 cents you talk all you please. Interstate and international calls costs vary depending on your service provider. If you have broadband access at home, if can be cheaper to set up a VOIP (Voice over Internet Protocol) plan for your calls. Public telephones are available an accept coins and pre-paid phone calls. Cell phones are also very popular and are available from a variety of service provider. You can purchase a pre-paid phone or a post-paid phone (contract phone service). A pre-paid phone is a great option for students with limited funds. You pay for the phone handset upfront (or buy a basic phone for under $100). A post-paid phone handset is generally free, unless you want something more particular with certain elements included then it can cost you and no matter what you will be bind to a contract with the provider for two years. You just need to establish which plan would be best for you and your needs. You can find some plans that cost as little as $20 a month that provide you with $100 worth of calls and text messages. Major telephone service providers in Australia are Telstra, Optus, Virgin Mobile and Vodaphone. Australia has hundreds of Internet Service Providers. Plans vary in cost and speed of downloading. You can find information at www.broadbandguide.com.au. Depending where you live is the options you might have and it’s also the speed you might get. Public libraries in the cities, town are usually open six days a week (closed on Sundays) and stocks plenty of books, CDs, DVDs, newspapers, magazines, journals and e-books. If your library does not have what you are interested in you can place an order at another library that does have what you are looking for and ask the library to order it for you. Borrowing items are free but you will need to join the library in order to have this access and therefore would have a membership card. You have a period of time with the items you took out and late fee will incur a small fee. Since March 2009 the free to air digital network has up to 15 digital channels. You do not need to purchase a license to view free to air or digital channel but there is a monthly subscription fee for the channel available on Foxtel and Austar. The Australian (www.theaustralian.news.com.au) is Australia’s national newspaper. Each state has is own major newspaper as well as several regional newspapers and tabloids. There are also locally produced foreign-language newspapers available in Australia and some international locales in some districts. That way you can stay up to date with everywhere. Joining groups associated with your home community can be a good way of finding support in Australia, making new friends, learning more about yourself. There are many ways you can join a community group, for instance where you live they have groups formed already, or in your institutions you can join a club or social activities, you can even create a group yourself and post up adds for anyone interested. University life in Australia is probably very similar to university life in most other developed countries throughout the world, but in many ways is also very different. 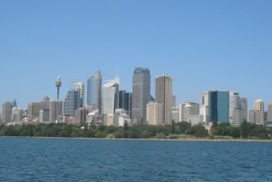 For one, universities in Australia are a lot more casual places to study and work in and the dress code is usually a lot more relaxed than in many European institutions of the same criteria. Australian fashion style is strongly influenced by the temperate environment that is Australian weather throughout the year and most people dress accordingly. Summer fashion style is characterized by loose fitting cool clothes; while jeans, loose jackets and layering are the characteristics of winter. But this laid back attitude does not extend to achieving academic credentials and Australian academic credentials are recognized throughout the world as being of the highest quality. There are roughly 300 000 international students who come to study in Australia every year making Australia one of the largest and most respected education providers in the world. Students from 190 countries throughout the world come to Australia to start, develop or finish their academic career. And Australian universities offer courses in most areas of professional employment. But what is life like for a student studying at an Australian university? Like anything it is what you make it, and as much reflects on your attitude to your classmates as their attitude to you. Some people cross cultural boundaries well, others do not. Some people have the ability to move across cultural boundaries with relative ease and other people have a tendency to struggle with making new friends in a different cultural environment. And if you are in this latter category do not worry because it only proves you are a human being. So if you are experiencing any of the symptoms of culture shock then I encourage you to contact the International Student Office at your university or talk it over with your AA Education Agent who may be able to get you the appropriate assistance that you may require. You will find that Australian universities have two semesters per year (some have a third summer semester). And as an international student you will have to attend full time during both terms. That means you will be doing four subjects per semester and if you keep up with the course material you will have finished your bachelor degree in three years with the full 24 subjects completed to achieve this. A diploma will be an extra year and a Masters degree will take another 2 years on top of what you have already have completed. But check with your university to see what their specific requirements are for the successful completion of their courses. You will find most of what you need to study effectively in Australian universities through their libraries and the databases that are on line. But, you have to get a student ID card to be able to do this successfully. Most libraries have their own orientation sessions that will teach you how to navigate the databases that you will have to know how to manipulate successfully to complete your coursework on time. And nowadays many Australian universities have a considerable amount of course work that can be completed electronically. So it is a good thing to have a thorough understanding of how the intranet system that your education provider has set up functions. So you can use it in the most time effective way. It is probably wise to attend as many orientation sessions that are on offer as you possibly can because you will be allowed to ask questions from people who know what they are talking about instead of hearing it from other students. Like many university students studying in Australia you will find that you will have a lot of free time on your hands and you can use this time to get to know the country better or join a cultural group from your own country of origin. And if you are an international student with who has a student visa subclass designation of 8105 then you can work 20 hours per week and full time during semester breaks. But if you have the finances and the opportunity to have a social life then you should. Australian nightlife is very good and the larger cities on the east coast like Brisbane, Sydney and Melbourne have night scenes that hold their own against anything in the USA or Europe. 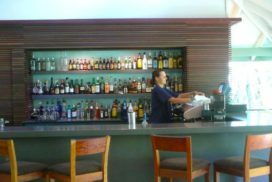 And most universities in Australia have their own bar that you can have a drink at and many different other associations that you may find interesting and give you an opportunity to make new friends. Your AA Education Agent will be able to help you with any other questions you may have about university life in Australia that will help you have a successful and fulfilling time while you are studying down under. If you travel around the world, you will most likely be able to see that etiquettes, values and social behaviours can be quite different in different countries. Sometimes you may even experience differences between cities of the same country! Regardless of where you are from and what you're used to, you will still find some differences between your way of life and the Australians' way of life. Addressing people- When you would like to get attention from those older than you are, always add Mr, Mrs, Miss or Ms in front of the persons' family name. However, if the person feels comfortable, he or she may ask you to call them using their first name. When addressing people who are your age or younger, you can usually address them using their first name. Greetings- To greet someone formally, use phrases such as good morning and good evening. To greet someone in informal situations, things like hi, hey and hello are fine. Please and Thank you- Be polite and use please and thank you when you ask for something and when you receive something. Clothing- You can dress casually and comfortably in almost all situations in Australia. If you're required to dress up, you will normally be informed beforehand. Personal space- Don't stand too close to anyone in any situation. An arm's length is usually a good distance to keep. Queues- People stand and wait in a line for services (e.g. Ticket counters, taxis). A line of people in such a situation is called a queue. If you wish to receive the same service, you need to go to the back of the line and wait like everyone else. It's very impolite to 'jump the queue', so don't do it! Be punctual- If you arrange to meet someone at a certain time, try to show up at that allocated time. If you cannot make it to the meeting, call to let the person know beforehand. Smoking- Smoking is banned in most private and public buildings. If you're unsure and would like to smoke, ask to get permission. Fair go- Australians believe that everyone should get equal opportunities. The belief that everyone should be able to get a 'fair go' is one of the most significant values held by Australians. The Australian Constitution also protects the social, political and legal rights of all people in Australia. Spitting- Don't spit in public, it is unpleasant and also illegal. Littering- Don't litter. If caught, you may be fined. Personal hygiene- You should shower daily and frequently wash your hands. If you're blowing your nose or if you sneeze, cover your mouth and use either a tissue or handkerchief. This is polite and it can minimise the spreading of any potentially harmful diseases. Table manners- You will usually be expected to use cutlery. However, at informal meals (e.g. Picnic or barbecue), you can usually use your fingers. If unsure, watch what the others are doing or ask. Cultural exchange- It is important to look at the au-pair experience as an opportunity to share your culture and to learn about the culture of your host family. Essentially, you are exchanging cultures. So, share your own cultural perspectives and also keep an open mind, be understanding and be willing to learn, look at and do things differently. Communication- It is extremely important to communicate with your host family and your programme coordinator. Tell your host family about your day with their children, share stories, discuss concerns and feelings appropriately. Be respectful, polite and honest when communicating. Responsibilities- It is important that you understand what is required of you and take your responsibilities seriously and complete the tasks to the best of your ability. Taking good care of your host familys' children will be an essential part of your stay. Other responsibilities may include cleaning after yourself and helping with cooking. Respect- You should respect your host family and expect to be respected in return. You should be considered as a member of your host family. You should complete all tasks and responsibilities given to you as best as you can, but you should not be treated like a servant in anyway. Mutual respect is key and it can be achieved through communication! As a society, Australia is rated very well around the world. It has the highest living standards of any country in the southern hemisphere. 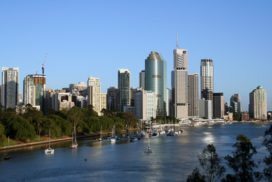 Australia is rated highly by the United Nations (UN) Human Development wing and has consistently topped the list for livability and economic endurance. Australia?s capital cities have been voted the most livable in the world and with small crime rates, stable democratic systems, good employment prospects, and a highly functioning and harmonious multicultural emphasis. Australia is a country that is exceptionally attractive for prospective migrants. With its mix of natural beauty, tremendous mineral resources, highly developed communications and technological edge, Australia has sustained 10 years of economic growth at 4% per annum. That has been accompanied by low inflation and low interest rates, while the next five years look to be prosperous as well with the economy expected to grow by 3% per annum. Population wise, Australia has a similar growth rate to Europe and Australia?s migrant program accesses the gap between available employment and the people who are available to fulfill those positions. That means, that Australia has a highly thought through migration program that seeks to place people in employment as quickly as possible in jobs that meet and match their particular educational qualifications, experience, and skill set. Australia is a highly developed country with natural and awe-inspiring beauty, technologically savvy, and is unique in world history with the world?s oldest continuous culture (50 000 years) and the planet?s only continent that is its own country. Australia, both modern and aboriginal is worth understanding. 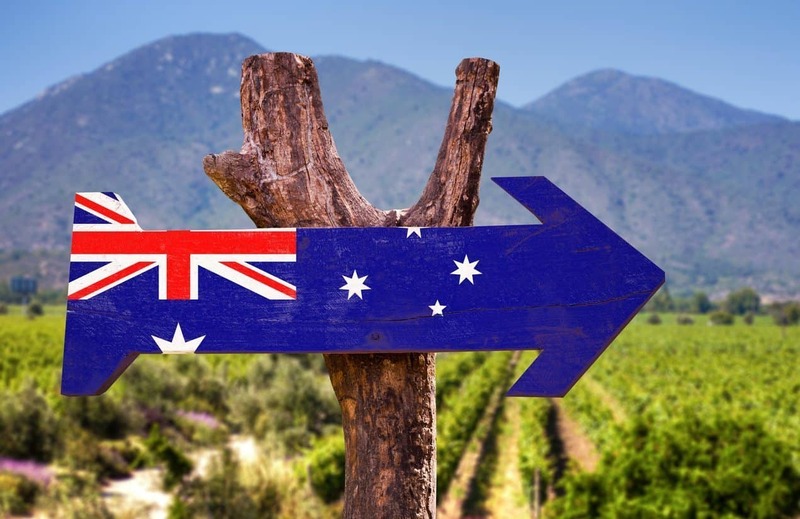 The country?s economic indices, excellent quality of life, and multicultural emphasis, that is open to immigration from other countries makes Australia a great place to immigrate too. And Australia is seeking migrants who have education and/or vocational training. Australia also seeks to reunite families as part of its migration programs, along with programs directed at refugees and those desiring refugee status. The Australian government is dedicated to a policy of active anti-discrimination and in 1996 the Prime Minister made a parliamentary statement that emphasized anti-discrimination as part of government policy that was accepted by the House of Representatives who voted unanimously to endorse the statement. The statement affirmed Australia's commitment to actively countering racial and social intolerance regardless of race, religion, creed and so forth. The Australian government affirmed the principles of equality for everyone who lives in Australia, is a citizen, or travelling through the country. You may sometimes have the luxury of getting meals that are already prepared. Even though this may be so the following are the characteristics you find when it comes to food matters. Food is prepared communally with other family members, workers or woofers giving you an opportunity to talk ... however sometimes you prepare your own food by yourself. Some people eat together around a table. Meals are prepared using food that has been grown on the farm. Home made wine sometimes accompanies the meals. Often the food is fresh and organic but there instances where you get bought packet food. Food is seasonal. You may not have shops in the area. It is advisable to talk to your host about any special dietary needs that you have to know whether they can be catered for. If this does not happen, you may be asked about it when you arrive. If you are a vegetarian and it bothers you to see others eating meat, you may want to reconsider your staying in a farm that rears animals as the host may eat them. Although it is handy to be able to eat anything, hosts are very hospitable and may have had wwoofers who had special dietary needs and can therefore handle any such guests. We in conjunction with our affiliates, have special deals to offer to make your stay in Australia even more enjoyable. 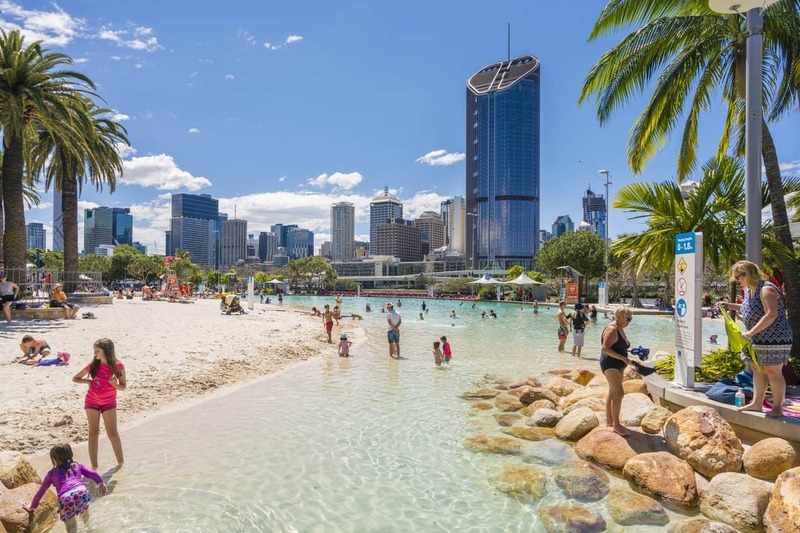 You will find that going to the beach on New Year’s Eve or skiing in July/August is very popular in Australia as this continent is part of the southern hemisphere. Australian summer days can be very hot, whereas during winter the days are still warm and dry, but the nights are much cooler. Outdoor activities (especially barbeques) and all water and sports activities make life very appealing in Australia. 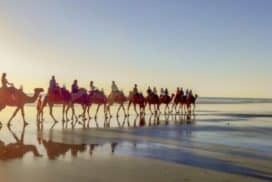 There are many opportunities for you to explore life in Australia either individually or in small groups during day trips and over a longer period. 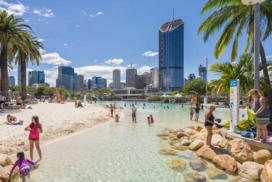 Extraordinary places to experience the natural environment include The Great Barrier Reef, Kakadu National Park and Ayers Rock, or you may be interested in the exciting life in the large cities of Sydney, Brisbane, Melbourne or Perth. If you are a commercial provider of services related to tourism, you may ask us for a special advertisement package. Live in Australia - Free Tips & Advice! The average international student in Australia spends about A$300 per week on food, accommodation, clothing, local transport, telephone, gas/electricity, stationery, and entertainment, although this varies significantly by location and lifestyle. International students in Australia on student visas can work for up to 20 hours a week once they have arrived in Australia and commenced their course of study. Although it is possible for international students to work whilst studying, part-time employment should not be regarded as a means of financing your studies in Australia. While student visa holders are now able to work 20 hours a week, it is important to have other money available as Australia is quite an expensive country to live in. Shopping centres in Australia are open most days of the week, it will depend on how close to the city you are living. The major supermarket chains are open 6 days a week Monday to Friday from 9:00am to 6:00pm Monday, Tuesday, Wednesday and Friday. Thursdays are late night shopping, shops are open until 9:00pm. Saturdays shops are open usually from either 9:00am to 12:00pm or for the bigger shops from 9:00am to 12:00pm. There are bank branches located in all suburban areas, they are open Monday to Friday from 9:30am to 4:30pm, with some open until 5:00pm on Fridays. Bigger branches open to the public on Saturdays from 9:30am to 12:00pm. ATMs or Automatic Teller Machines are available at all branches and shopping centres. They are available 7 days a week and 24 hours a day. Australia Post runs the postal service in Australia, mail is picked up and delivered Monday to Friday. Australia Post outlets are available at most shopping centres and are open from Monday to Saturday. Monday to Friday they are open from 9:00am to 5:00pm, on Saturdays they are only open until 12:00pm. Here customers can buy stationary, office supplies, stamps and post parcels, letters. They can also pay certain bills here. There are many telecommunications providers in Australia, most people are now purchasing mobile phones on a plan rather the using a land line all the time. For international uses though, it will be best to shop around to find the right deal for you. This will most likely be a joint mobile, phone and internet plan. Dial up, ADSL and wireless internet are all available in Australia. There are many phone shops in shopping centres, where mobile phones can be purchased. However most of the shopping around for plans and phones can now be done over the phone or online. There are libraries available at all educational institutes and within close location to shires and council houses. Contact the local council in your area to find one closest to you. Here customers can borrow books, CDs and DVDs. There is only the first membership fee to pay. This is a very cost effective way to read books, it will also help with study. Currently Australian television is starting to use digital TV, to use this watchers need to use a digital ready TV and box to watch additional channels free of charge. At the moment there are 5 free to air channels available on all televisions. For cable television, consumers will need to sign up with either Foxtel or Austar this is usually quite costly. Foreign, local and community papers are all available in Australia these can either be delivered to your house at an extra charge or can be brought at the local supermarket or newsagency. To find all your local papers and where they can be brought from visit www.newpapers.com.au. Moving to a foreign country is a very daunting experience, to make this transitions easier many international students will attend a Multicultural Community Group. These groups have people in similar situations all attend. This may help students feel a little more at home. Australia is a very accepting country with even more friendly people, students will find that they will easily meet new friends at there educational institute. Here there will be frequent social events listed, and people will be more then happy to help you settle in. Most Australian Universities are now filled with international students, so don't fear being the odd one out there will be many students in the same situation. As with any country, be positive and polite. If you need directions or assistance be polite and ask for it there will always be someone there to provide help. Australia prides itself on its equality. No one is judged on race, gender, sexuality or religion, be accepting of others and others will accept you. Dress appropriately for the situation, most Australians dress fairly casually. If attending a job interview, formal function or restaurant it would be more appropriate to wear something formal. Littering is illegal in Australia, as is smoking in public places. Spitting in public is also seen as dirty and is an offence. You may have a feeling of frustration when first moving to Australia this is known as culture shock. Feelings such as this should pass once the student has settled in, if it stays with you seek counselling, services are available for international students at all educational institutes. There are strict laws in Australia, a few have already been mentioned. You must be over 18 to purchase alcohol and cigarettes, photo identification will be required such as drivers license, passport, proof of identification. Weapons and drugs are illegal big penalties to apply. Violence and harassment is not tolerated in Australia, neither is acts of sexism and sexual assault. Huge penalties apply. If planning to drive in Australia be sure to know the road rules, speed limit and do not drive if you have consumed alcohol or drugs. All major cities in Australia have their own shopping districts, most shops within a CBD are open 7 days a week with late night shopping on Thursdays and Fridays til 9pm. Supermarkets and other suburban retail outlets are open Monday to Saturday from 9am to 5 pm except for Thursdays when they are open until 9pm. There are many banks available in Australia, based in most suburban and CBD locations. Banks are open to the public Monday to Thursday from 9:30am to 4:00pm, Fridays they are open until 5:00pm. Some of the larger banks in busier locations open on Saturdays from 9:30am to 12:00pm. ATMs or Automatic Teller Machines are available where ever there is a branch, as well as in many other locations around Australia. ATMs are available for use 24 hours a day and 7 days a week. Australia Post is the major postal service in Australia. There are post offices located in most major shopping centres as well as in various other locations. Open from Monday to Friday from 9:00am to 5:00pm as well as some shops opening on Saturdays from 9:00am to 12:00pm. Here customers can post letters, buy stationary equipment, apply for passports, pay bills etc. Mail is delivered from Monday to Friday, except for public holidays. Services and costs will depend on a plan and provider that the consumer has chosen. Most local calls cost around 30 cents and are not timed. There are also many public telephones located across Australia, these are coin operated. Mobile phones tend to be the most popular communications method, with many cheaper pre paid phones available. Mobile phones can now be purchased from retail outlets, post offices as well as phone companies and even online. Purchase a prepaid HTC camera phone so you can capture all of the beautiful images and landscapes while in Australia. There are many internet providers in Australia, with dial up, ADSL and wireless services available. Many people choose to link their internet and phone together for the same bill. If the customer chooses not to have a land line then wireless pre paid internet is a great option. Libraries are great for students here you can borrow a huge range of books, DVDs and CDs. All customers need to do is purchase a membership at a local library and all items borrowed are free of charge, providing they are returned. Libraries are open 6 days a week Monday to Saturday. Libraries are located in most shire or council districts. Most Australians use the free to air channels, there are 6 main channels available for viewing for free. Currently the government is bringing digital TV which will add an additional 15 channels for regular watches. Consumers of digital television will need to purchase either a digital ready television or a box which allows viewing on a regular television. For those who can afford it cable television is also available, this can be quite expensive how ever. Each state has their own newspaper with only "The Australian" newspaper reaching the whole country. Community papers are also available through either the mail or at local shopping centres, these are free of charge. The local newspapers are available 7 days a week, the most popular are, in New South Wales the "Sydney Morning Herald. In Victoria "The Age". In Queensland the most popular in the "Brisbane Courier Mail". In the ACT the "Canberra Times". In South Australia the "Adelaide Advertiser". Western Australia's most widely spread paper is the "West Australian". In the Northern Territory the locals purchase the "Northern Territory News" and in Tasmania the "Hobart Mercury" is the most purchased local paper. There are many groups in Australia designed to help foreigners feel more at home. A multicultural community group is run by people from the same country and is a great way to meet people. Australia is generally a very accepting country, as well as being very laid back. New comers will find lifestyle and culture quite different. As long as people are respectful, polite and non judgmental Australians will be accepting. Priding it self on being a country of equality, Australians do not accept racist and sexist behavior. Unacceptable behavior includes, smoking in government buildings, shopping centres, airports, public transport or in any public buildings or meeting places. Littering is also illegal and there are many bins provided on the sidewalks of most streets. Remember Australia is a brand new environment, feeling home sick is normal. Usually this feeling will disappear once the new surroundings become slightly more familiar. If this feeling does not go away it may pay to see the international counsellor at the educational institute. Australia is a very free country, there are no restrictions on where they can live, how they can dress, what relationships they have or what they say (providing this is not a racist or sexist comment). It is illegal in Australia to purchase or consume alcohol and cigarettes in the consumer is under 18. Smoking has been banned in public places due to health risks. No one is aloud to carry weapons or have illegal drugs on them. All acts of violence towards humans or animals will not be tolerated, all acts of violence will be prosecuted severely. As an international student, you will have attained Overseas Student Health Cover (OSHC) insurance. But, to increase your level of insurance coverage, you might also want to invest in other forms of insurance. For example, travel insurance will offer protection if your airline cancels your flight and you need accommodation or you the airline loses your luggage. It also covers you are somehow injured on your travel. Another useful insurance is contents insurance. It will cover the cost of your valuable items in your home (i.e. TV, game consoles, jewellery and furniture). Lastly, third party car insurance is compulsory in Australia if you own a car or motorbike. This provides with insurance against damage caused to other cars. An additional insurance is recommended for vehicle holders. It is the comprehensive car insurance and it covers damage to your car in the event of an accident. There will be lots of opportunity to shop in Australia when you arrive. Australia features many large shopping malls in the town centres and capital cities. You will find a selection of world-class shopping facilities. Shopping hours vary but generally are from 9.00 am to 5.00 pm seven days a week (with late-night shopping until 9.00 pm on Thursday or Friday). Also, some supermarkets open 24 hours a day, seven days a week. Others, like Coles and Woolworths, are open until about 10pm every day. In Australia, there are four major banks including: Commonwealth Bank, ANZ, Westpac and National Australia Bank (NAB).Tthey each have many branches across the country. In addition to these banks, there are plenty of smaller banks with good coverage (as well as credit unions) and large international banks such as ING, Citibank and others. Banks in Australia are open during normal trading hours from 9.30 am to 4.00 pm Monday to Thursday and 9.30 am to 5.00 pm on Friday. You can also find some banks open on Saturday mornings, but all banks close on Sundays and public holidays. If you need to access your bank account after hours, you can use the many Automatic teller machines (ATMs) that are readily available for withdrawals 24 hours a day. Lastly, most stores and supermarkets have Electronic Funds Transfer At Point of Sale (EFTPOS) terminals where you can pay for goods directly. For this reason, carrying large amounts of cash with you is unnecessary. If you need to send mail or pay a utility bill (like electricity, telephone or gas bill), you will need to go to an Australia Post office. They also sell stationery, post bags, phone cards and stamps and office equipment like fax machines. Another service they offer is delivering mail. This happens once a day from Monday to Friday. If you receive a card from Australia Post for a large parcel, just take it to your nearest post office for collection. You might also need ID with you to claim the parcel as yours. If you would like a cheaper way of making phone calls, and you have broadband access at home, you can look into setting-up a VOIP (Voice Over Internet Protocol) plan for your calls. They can offer considerable cost saving plans if you intend to use the phone often. Watching television can be a great way to relax. Australia has five free-to-air analog channels. (The free-to-air digital network is expected to expand from March 2009 -- adding another 15 digital channels in addition to the existing ones). If you want more programmes, you can try the dozens of pay-TV channels. For a monthly subscription fee, you can access these additional channels through Foxtel, Austar, Select TV and several others. You can also source locally produced foreign-language newspapers at your larger newsagencies. Some international papers can also be found at these selected newsagencies. As a matter of courtesy, when speaking to people older than you, you can call them Mr, Mrs or Ms followed by their surname until you know them well (or they ask you to address them by their first name). Informal greetings for friends and acquaintances are hello or hi. Smoking is prohibited many public spaces. For example, it is banned in government buildings, on public transport including domestic and many international flights, theatres, shopping centres, many indoor and outdoor public meeting places, selected restaurants and cafes. Always ask for permission to smoke. Generally speaking, Australians consider themselves to be egalitarian. That is, they believe all individuals have equal social, legal and political rights. These are protected by the Australian Constitution. Being treated equally and fairly is expected by all Australians. Spitting in public is an offence. It is socially unacceptable. Personal hygiene is a must. This not only guards against the spread of germs and disease, but is a social necessity. In this way, be sure to: use a tissue or handkerchief when you sneeze or need to blow your nose; wash your hands before eating, after going to the bathroom, after playing with animals, or when you have a cold; try to shower daily and use deodorant; practice oral hygiene daily by brushing your teeth and using breath freshener in-between flossing and brushing. Never littering. Australia is an environmentally conscious country and littering is illegal. If you litter, you may be fined. Remain positive! Recall the reasons why you chose to study in Australia. Talk to others in the same situation or that have gone through a similar experiences as you. They may have valuable insights to help you. Write down your feelings by keeping a journal. By doing so, you can vent your feelings. It also gives you a new gain perspective on things so you can work through your feelings and find solutions. Stay occupied and busy. Keep your mind and body active. Fill-in your spare time by playing sport, joining a club or taking up a hobby. This can also help you meet new people and make new friends. Try something new. Socialize with Australians and students from other countries. This can help to minimise your feelings of isolation and loneliness. Try to be flexible and prepared to adapt to the changing environment. Expect change and work through challenges with confidence. Be receptive to learning about Australia and its culture and be willing to share your own. As a multicultural society, Australians enjoy open dialogue with people from various heritages. If you have cultural food restrictions, let people preparing foods for you know about them. You can also help educate people by discussing the reasons behind your needs so people can better understand and be open to accommodating them. Australia’s cities and towns have world-class shopping facilities. Hours are generally between 9:00am and 5:00pm seven days a week, with late night shopping on Thursday or Friday nights until 9:00pm. Some shopping centres are open 24 hours a day. Most of the larger shopping chains are open until 10pm at night. There are many banking institutions throughout Australia. Branches can be found all over the country, even in remote areas of the country. Normal trading hours are open from 9:30am until 4:00pm Monday to Thursday and 9:30am until 5:00pm Friday afternoons. Some banks are open on Saturday mornings, but all are closed on Sundays and public holidays. ATM machines are located in shopping centres and bank branches everywhere. Most stores and supermarkets have EFTPOS terminals where you can transfer funds from your bank account for the purchase of goods or services. You can even make cash withdrawals. This way you can reduce the amount of cash that is carried on you. The countries four major banks are the Commonwealth Bank, Australia & New Zealand Bank (commonly known as the ANZ bank), Westpac and the National Australia Bank (or NAB). There are many other smaller banks and credit unions which can provide you with the same type of banking services. Australia Post is Australia’s mail delivery service. Services deliver mail once daily between 9:00am and 5:00pm. For larger parcels, a delivery driver will deliver the parcel to your address, and you will have to sign a declaration to receive the parcel. If the delivery driver delivers the parcel and you are not home, a card will be left in your door. Take this card to your local post office for collection. Postal services usually deliver on the next day within the city suburbs. Post offices are open between 9:00am and 5:00pm during weekdays. Post offices also sell stationary, post bags, phone cards, stamps. You can also pay your utility and telephone bills at your local post office. Australia’s major telephone companies are Telstra, Optus, Virgin Mobile and Vodaphone. Local calls generally cost 30 cents each and have no time limit. Interstate and international phone call costs vary on your service provider and the length of the call. Public telephones are widely available, and accept coins and pre-paid phone cards. If you have broadband access you can set up a Voice-Over Internet Protocol (VOIP) system on you Personal Computer (PC). This will make the cost of phone calls much cheaper, especially with international or interstate phone calls. Mobile phones are very popular and service providers are widely available. You can purchase a pre-paid or a post-paid mobile phone service. A pre-paid phone is a great option if you have limited funds. You can purchase the phone upfront and then purchase credit for the phone that can be used over the following months. A post-paid phone handset is generally free, but you will have to sign a contract for a period of time. Post-paid cap plans are good for making a lot of calls daily. Some mobile phone plans cost as little as $20 a month that will provide you with $100 worth of phone calls and text messages. Shop around to find the cheapest plan that suits you. Australia has a number of Internet Service Providers (ISPs). Plans vary greatly with cost, speed of the connection and download limits. Shop around for the best plan that will suit you. The availability of connection varies greatly, depending on what area and what type of internet connection that you wish to connect. Dial-up is available everywhere, but broadband, cable and satellite broadband have limited access. Cable and broadband connections are generally available in all capital cities and large regional towns, but if you live in a rural area and want a fast connection, your best option would be a satellite connection. A great source of information for your studies is your local public library. Public libraries can be found in each major city and some towns. Most libraries are open six days a week, usually closed on Sunday. Libraries stock books, CDs, DVDs, newspapers, magazines, journals and e-Books. If you cannot find what you are looking for, you can order books from another library. Before you can borrow items from the library, you first need to apply for a membership card. Items need to be returned on time, or a small late fee may apply. Australia has fifteen digital free-to-air television channels recently expanded. Pay television has dozens of channels available, and there is a monthly subscription fee. These services are Foxtel, Austar, Select TV, and several others. There are also a number of foreign newspapers printed locally. You can find newspapers from international locales in some districts. A great place to make friends from your home community is in a community group. You can find support with troubles you may encounter, and make a few new friends along the way. Living and studying in Australia can be an exciting experience, but it is important to have budgeted carefully for your time of stay in the country, with the knowledge that you will be able to live comfortably while studying and have the most enjoyable experience possible. 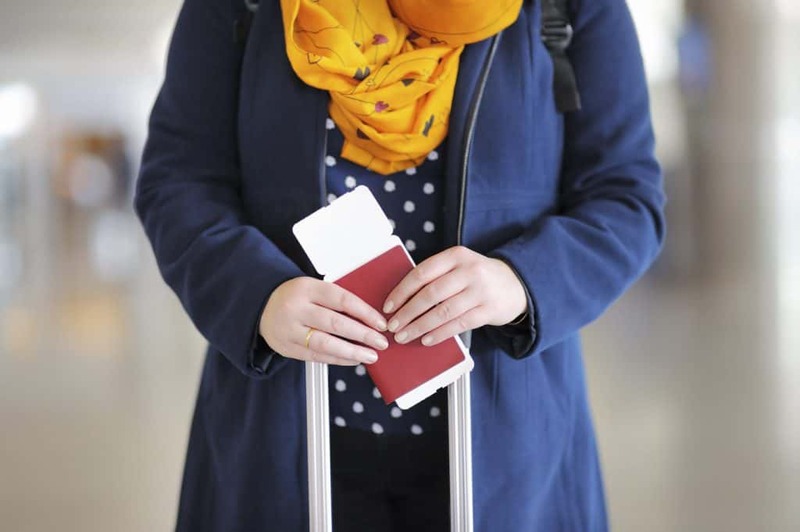 Australian migration laws require international students to show evidence that they are able to contribute and live to a certain standard when they start their study in Australia. This gives students the ability to focus on their studies and live less stressfully when it comes to handling their budget, while still experiencing the culture and what it has to offer. International students are able to supplement their income in Australia with money earned through part-time work, but only if this does not effect their study hours, while also being able to meet all of the living costs that eventuate from paying for food, accommodation and bills. As of the 1st January 2010, Migration regulations on the basic rate of living costs, has increased. Below is a basic guide as to the amount of funds that all prospective students must acquire before applying for their student visa applications. A$2,700 a year for every child and where required. These costs can vary considerably city to city depending on where you plan to live in Australia. Once you have settled in the country and have acquainted yourself with your environment, it is helpful to budget according to your living standards as soon as possible. Take into consideration the costs of food, accommodation, transport, entertainment, clothing and travel costs. Sticking to a budget will help you know exactly where your money goes and be safe in the knowledge that you will have enough to live comfortably and stress-free. Accommodation: There are many styles of accommodation in Australia but Homestay accommodation can sometimes be the most affordable and safest alternative for international students. Meals are often included in the cost of boarding, and you can truly immerse yourself in the culture by living with a registered Australian family. Prices can range from $110 to $270 per week and single and shared rooms are available. Food: There are many major town centres and cities in Australia with world-class shopping facilities. It can be cheaper to shop at major supermarket chains by checking out the discount food sections, but quite often than not, there are large farmers markets that produce fresh, local produce on a weekly basis and can have cheap fruit and vegetables readily available. Keep in mind it is cheaper to eat at home, but some major cities in Australia have a huge range of affordable restaurants that cater to the student clientele. Transport: There are cheaper concession rates for students when traveling on public transport in Australia. Once you have received your student card it is important to discuss with your campus or transport authority the best option for you when traveling by bus, tram or train. Many large cities have weekly and monthly concession rates, which can largely reduce your spending. Entertainment: It is not necessary to spend a lot of money in Australia on entertainment. 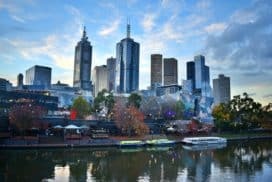 There are a variety of public festivals and concerts that are held for free in major cities, as Australia has a large and thriving Arts community across the board. There are many concession rates or cheap nights for movies, amusement parks and even bars that hold student nights with food and drink deals. There are plenty of public parks or National parks to walk and enjoy for free, or require a very small entrance fee. Australia has a lot of respect for its egalitarian policy. Even though this is so one has to acknowledge the fact that there still exist different social classes to which different people belong. These classes may be classified as the upper class, middle class and the working class. The upper class largely consists of people who are property owners as well as those who control capital. The middle class has those people whose jobs are classified as non manual. Some of the professions in this class are doctors, accountants, engineers among others. The working class largely consists of those in occupations that are manual in nature. There is however a belief that socioeconomic mobility is possible. This is even supported by the 'give one a fair go' attitude among Australians. When it comes to symbols that show the class in which one belongs to, not all can give a clear cut line of distinction between two consecutive classes. The upper class may dress in expensive clothes, drive expensive cars and live in up market dwellings. Material things however can be a misleading indicator. Take clothes for example, other than money, there are other factors that influence the clothes that a person may choose to put on. For example some well-off teenagers may have clothes in line with the fashion more that those that would be said to be of their class. Also, one may choose to dress in a style that is depicting a certain subculture rather than class. In the same way those in the middle class may dress expensively and drive expensive cars bought by money from a loan. The better class symbols are such things as the entertainment preference, engagement in certain types of sporting activities, speech patterns as well as arts.